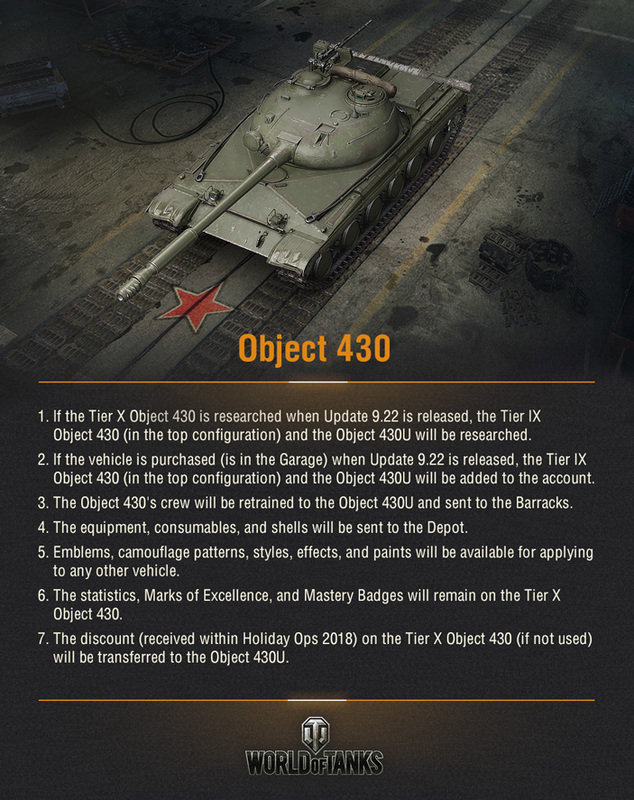 Take a break from the festive Holiday Ops hustle to get up to speed on the changes coming to USSR vehicles! 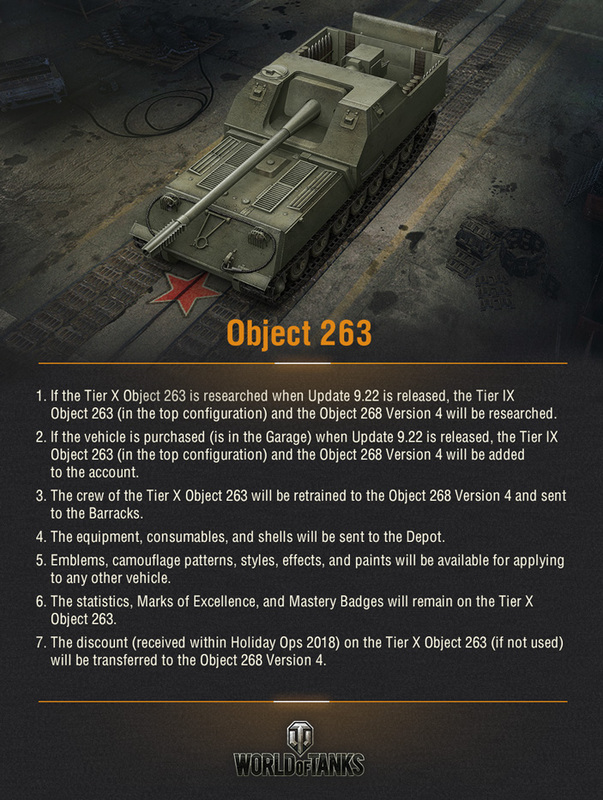 Update 9.22 will take on the nation’s least played tanks, revitalizing them through an injection of new vehicles, structural re-shuffles, and several come-backs. The last and probably trickiest task was tuning mid-tier vehicles for mid-to-close range assault gameplay. 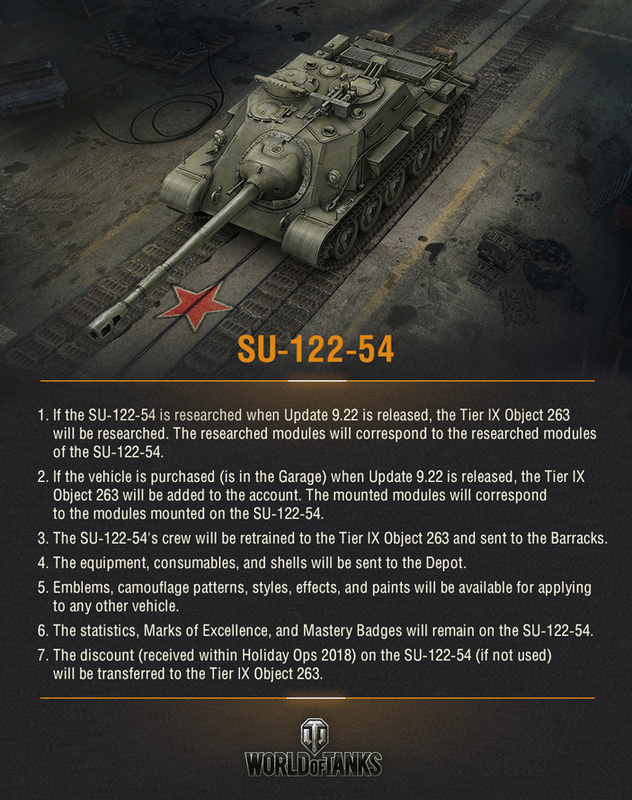 The SU-122-54 didn’t fit into the concept because of its traditional turret placement. We faced a huge dilemma here: it was clearly out of the line in terms of gameplay, but was valuable from a historical point of view. As an interim solution, we moved it down a tier to see if it can be viable there. 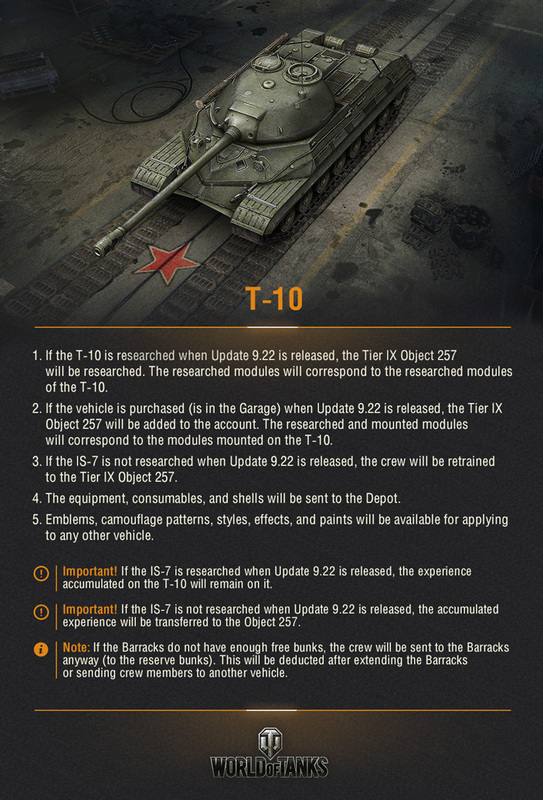 Unfortunately, it was no good at blocking damage even at Tier VIII and still felt like a huge step away in terms of gameplay, plain and simple. That’s why, we removed the SU-122-54 and made a line fully composed of rear-turret/superstructure vehicles.